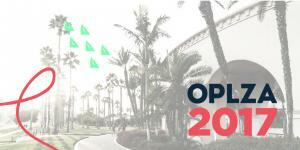 The modern marketing summit features keynotes from world-renowned thought leaders, hands-on workshops, networking opportunities, and the inside scoop on what's to come from ONTRAPORT. Santa Barbara Tech Company Announces Pre-Sale Tickets for ONTRApalooza 2017. Discounted tickets for this conference are offered now until until May 1, 2017. SANTA BARBARA, CALIFORNIA, UNITED STATES, April 20, 2017 /EINPresswire.com/ -- Santa Barbara, California | April 20, 2017 – Santa Barbara Tech Company ONTRAPORT is pleased to announce pre-sale tickets for its annual user conference and modern marketing summit, ONTRApalooza 2017, are now available for purchase. Attendees have until May 1 to get their ticket at the discounted pre-sale price of $297. 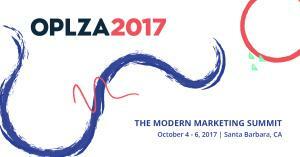 The modern marketing summit for small business owners, entrepreneurs and marketing consultants will be held Oct. 4-6, 2017 in Santa Barbara, California. Listed by Forbes as “a must-attend conference for entrepreneurs” and Inc. as one of the “top entrepreneur conferences to check out in 2017,” ONTRApalooza brings together the largest community of ONTRAPORT and ONTRApages users, marketing professionals, small business owners, entrepreneurs, thought leaders and industry experts for three days of innovation, inspiration and collaboration in Santa Barbara, California, October 4-6, 2017. When you upgrade to VIP for only $200 per ticket, you’ll gain priority access to every aspect of ONTRApalooza. You’ll enjoy unique amenities and conveniences that will set you up to learn more during this three-day event and make an even bigger impact on your business. Purchase tickets to ONTRApalooza 2017 before May 1 to receive the pre-sale rate of $297 (a 60% discount from the event’s ticket list price). 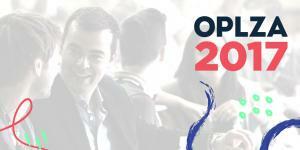 To learn more or purchase tickets, visit www.ontrapalooza.com.